Twenty-four teams from Alabama, Florida, Georgia and Louisiana are scheduled to compete in this weekend's 3rd annual South Walton Border Wars. Wrestlers will compete in pool rounds on Friday to determine eight-man championship brackets to be contested on Saturday. Those who do not make the championship brackets will still compete on Saturday. Vestavia Hills, AL, won last year's event, even if only by one-half a point over two Florida teams that tied for second. The Rebels will bring two Alabama class 7A state champions: Hayden Hill, who won the 2014 Border Wars, and Matthew Paugh, who placed 3rd at last year's tournament. 2015 state runner-up George Dazzio and 4th-place winner Zachary Nelson should also compete for the Rebels, which placed second at the 2015 Alabama 7A State Championships. Union Grove, GA, which placed third at the 2014-15 Georgia 5A state championships, should bring state champion Justin Ruffin, 3rd-place winner Davion Farley and 5th-place winner Luke Vinson. 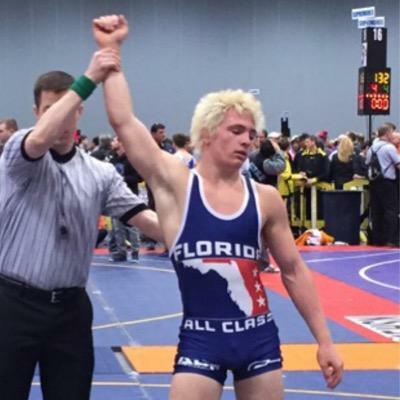 Cambridge, GA, which placed 6th in the 5A state championships, will be led by senior Devin Kane, a Georgia state champion in 2015, a runner-up at the 2014 Border Wars and a 2013 Border Wars champion. Cambridge should also have their 2015 state runner-up, Will Britain. Florida teams, of course, cannot be overlooked. 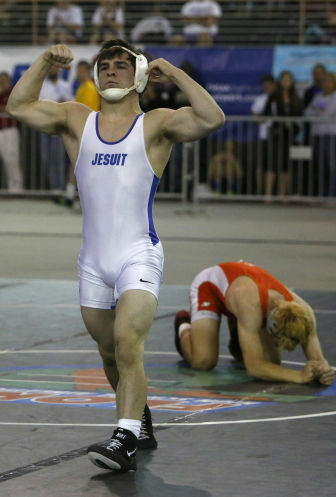 Tampa Jesuit placed 4th in the 2015 Florida Class 2A state championships and should bring state champion Adam Lewis and runner-up Brian Buser. State champion Nick Mosco may make the field, but his name did not appear on this season's TrackWrestling team roster. Tampa Prep. placed 3rd in the 2015 Florida Class 1A state championships. Sophomore state champion Anthony Artolona, runners-up Raiden Johnson and Leonardo Tarantino, and 3rd-placer Ashton Habell should compete for the Terrapins. Arnold High School placed 5th in Class 1A in 2015. State champion Richard McClanahan (3rd last year at the Border Wars) will be joined by 3rd-place winner Paul Patterson, and William Pickren, who placed 5th in 2015 and 2nd in 2014 while competing for South Walton. Pickren is undefeated at the Border Wars, having won championships at 106 lbs. in 2013 and 120 lbs. in 2014. 2013 Louisiana Border Wars champions include Kendon Kayser, who also was voted an Outstanding Wrestler, Noah Landry and Dillon Prejean of Brusly, Tanner Leblanc of St. Paul's and Conor Karwath of east Ascension. In 2014, Rummel's Blake Mateu, Collin Francis of St. Paul's won the event, as did Jesuit's Guy Patron, Jr. (voted an Outstanding Wrestler) and Dominic Carmello. The Blue Jays finished fourth as a team last year. The other teams scheduled to compete are Hewitt-Trussville, AL, Luella, GA and Chiles, Lincoln, Fort Walton Beach, Niceville, Choctaw, Gulf Breeze, Pace, Florida High, Columbia, Wakulla, Mosley, Marianna and Wewahitchka, from Florida.